Rise and shine to a Sunday buffet breakfast at Cazalys Cairns of sizzling bacon and scrambled or fried eggs, chipolata sausages, grilled tomatoes, golden hash browns, fresh croissants cereals and fresh fruit. Adults $13.90*, child $8. 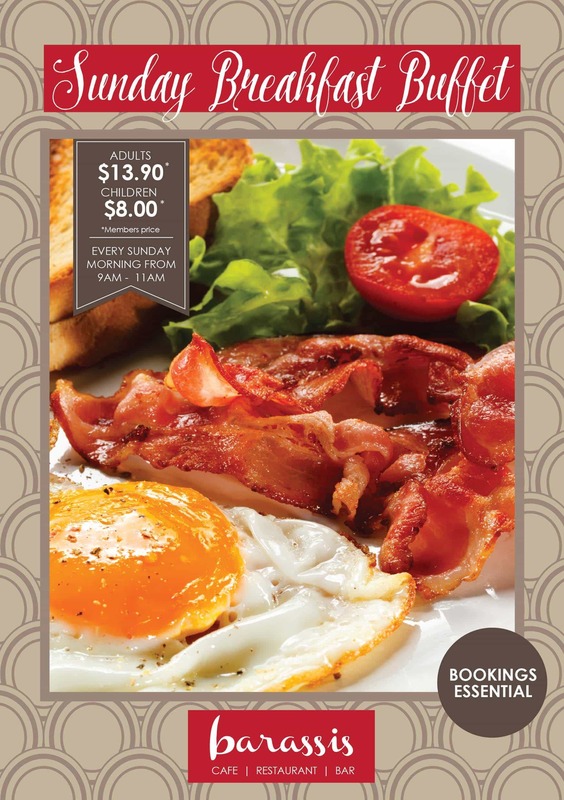 Sunday breakfast served from 9am-11am. *Members price. T&C apply.